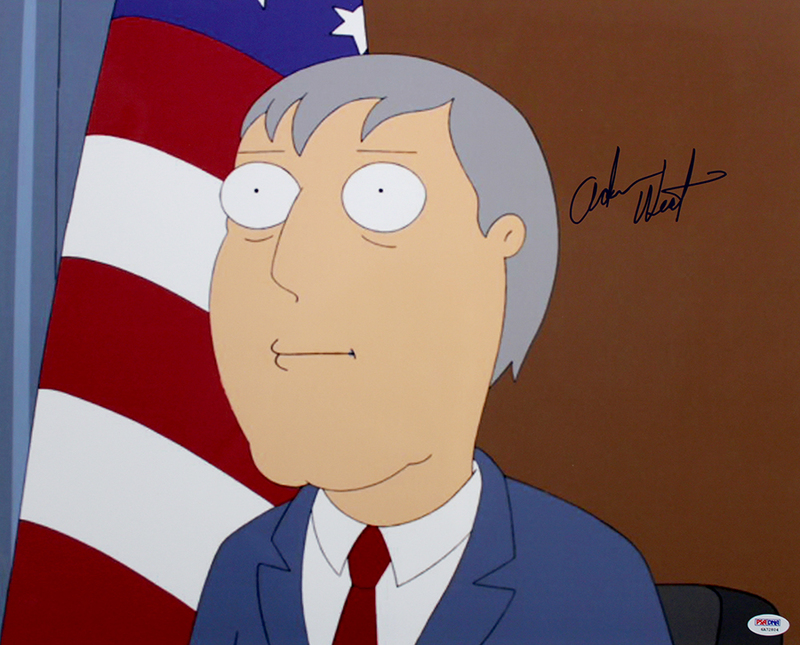 This Family Guy 16x20 photo has been personally hand signed by Adam West. Each autograph is guaranteed authentic, and includes an individually numbered, tamper-evident TRISTAR Authentic hologram. This autograph also includes PSA/DNA Signed-In-The-Presence authentication.